Ready to convert to a TBT-free antifouling? Jotun has solutions that don't soak up your money. Most other TBT-free antifoulings are selfpolishing-only. 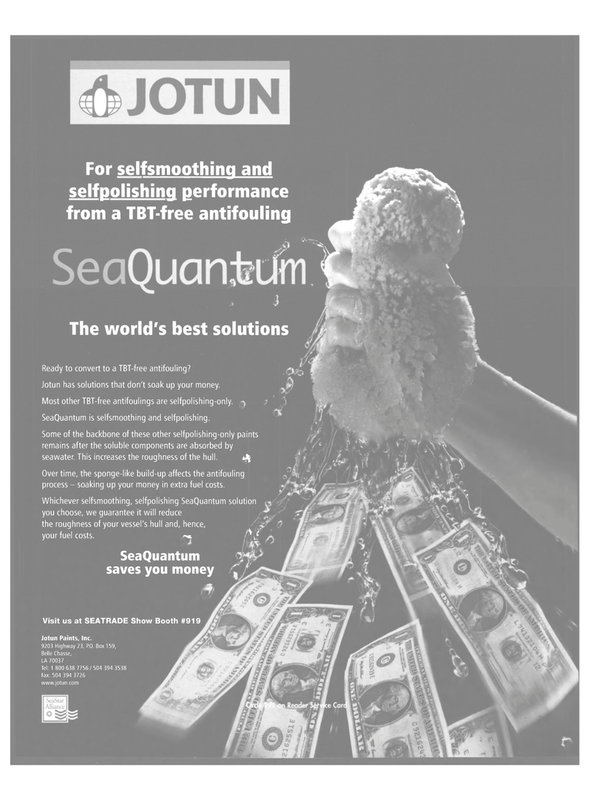 SeaQuantum is selfsmoothing and selfpolishing. Over time, the sponge-like build-up affects the antifouling process - soaking up your money in extra fuel costs. Louisiana Belle Chasse Jotun Paints Inc.